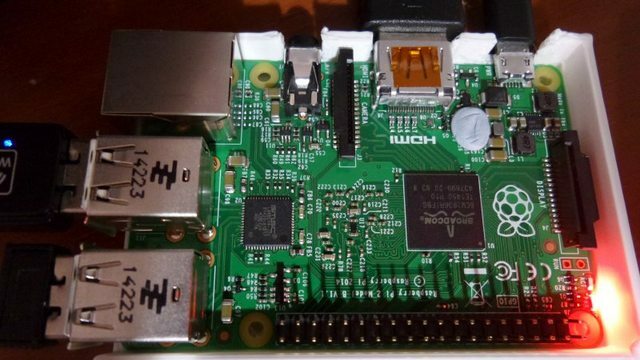 Why is the PI2 camera-shy ? I have discovered that my PI2 is camera-shy ! Taking it's picture with a flash causes an instant power off ! I've done it three times now and same thing happens each time. First two times I didn't realise what had happened as I wasn't looking at the screen at the time and only noticed a few minutes afterwards. 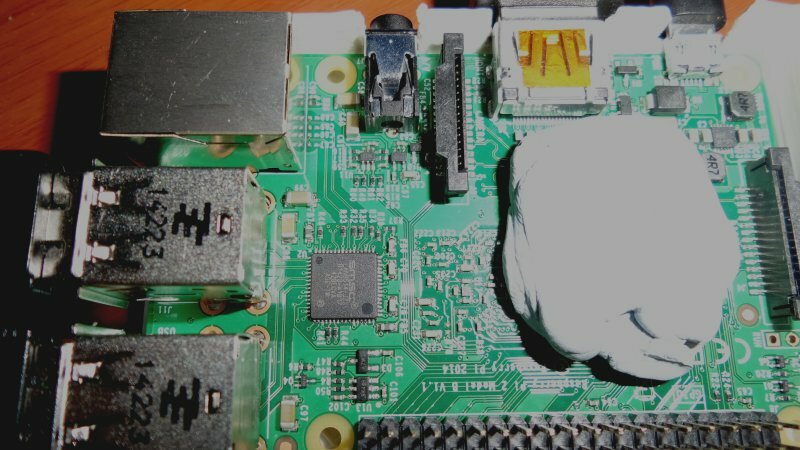 Re: Why is the PI2 camera-shy ? An entirely separate camera or on that is powered through the Pi ? If its a separate camera, thats spooky. EMP from the capacitor discharge inducing a spike in the power cable? A lot of semiconductors are light-sensitive. Maybe the reverse-polarity diode on the power input? It would need to get through the opaque case but the casing of small surface-mount components can't be too thick. Seems almost as unlikely though. Edit: I was expecting batteries, but if it's connected to power, then it's a voltage spike. A sharp spike can get through anything; down the power line to mains and back up into the RaspPi is not unlikely. Even more so if it's connected closer of course. No electrical connection between camera (battery powered) and the PI. I would suspect it is an "photonic" effect of some sort on a poorly encased semiconductor. Something in the power circuits does sound likely. Neat trick. What model camera is it? ktb wrote: Neat trick. What model camera is it? I doubt that is important ! Fair enough. I was slightly interested in attempting to reproduce the problem and was wondering if my Canon 500D or Moto X would do the trick. You could always try attenuating the flash with a thoughtfully placed finger to reduce its impact. Something I do when taking close ups to stop it washing out the picture. Power-off or just crash? What are the symptoms? How far away does the camera have to be to not affect the Pi? Does it still do it in the next room? With the door closed? How about with the Pi at the other end of the garden, but with the flash pointing at it? How about powering it from batteries, disconnecting the monitor etc. then setting off the flash. Then plug the monitor and keyboard back in to see what happened. Do you have any blu-tac? Burngate wrote: Power-off or just crash? What are the symptoms? To all intents and purposes it was OFF. Red light still showing, but no other signs of life. The screen went into standby so no video output. jdb wrote: Do you have any blu-tac? I do, but I don't have the need for any more pictures of it I don't want to keep "upsetting" it as I'm actually developing code on it right now ! Ok - I've managed to reproduce the problem here, anyway. jdb wrote: Ok - I've managed to reproduce the problem here, anyway. Is this an experiment we can all do? Or does it need some quaint camera/flashgun hardware? Took photo with Samsung K Zoom - Pi 2 crashes. Oh, and its a freeze, not a crash-reboot at that point. Note the K Zoom has a Xenon flash, unlike most cameraphone's LED flash. Xenon flashes cause the issue. I have a 1800 lumen LED bicycle headlight - on flash mode at ~3cm distance from the Pi, it doesn't cause a crash. With a Canon Ixus 60 (handheld compact camera), its flash reliably locks up the Pi. You need to be closer than about 50cm to make it happen, though. What if you cover the Flash with card? Is it the light or em pulse? I recall way back easing the metal lid off the 2114 ram chips (1024 x 4 bit, 2 needed per KiB) on my Ohio Scientific Superboard 2 to peer inside to wonder at the ordered layout beneath. A desk lamp with tungsten filament bulb held above was enough to trigger errors. +30 years, now we need xenon flash. PiGraham wrote: What if you cover the Flash with card? A/B/A+/B+ are all immune from the "XENON DEATH FLASH"
turning it upside down saved it though ! So, not the SoC then. It must be something else on that side of the board. Should be simple to track down by masking off regions. Because the blu-tac blob isn't over the single photosensitive IC on the board. It appears that U16, the SMPS chip, is the culprit. jdb wrote: Because the blu-tac blob isn't over the single photosensitive IC on the board. but as you say covering U16 fixes the issue.